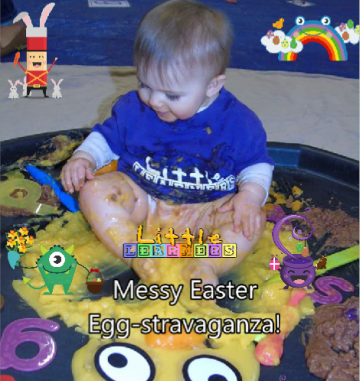 A Messy Easter Egg-Stravaganza Uckfield! Little Learners Award Winning Uckfield Messy Play Classes for Babies, Toddlers & Preschoolers. Encouraging Children to Mark Make & Learn Through Play!